Handing over a tenner is so 2000s. Online businesses and freelancers need to be able to take online, mobile, and contactless payments, whether they sell purely through their site, from a market stall, or in a physical shop. These payment platforms have fancy functionality, competitive fees, and top-level security. We’ve focused on a couple of big, recognisable names, but we’ve also made sure the newcomers get a shout-out too. Promising “smoooth payments”, Klarna is a Swedish payment platform that helps you get paid immediately, while your customers can choose to pay later. E-commerce sellers who want to give their customers more reasons to shop with them. 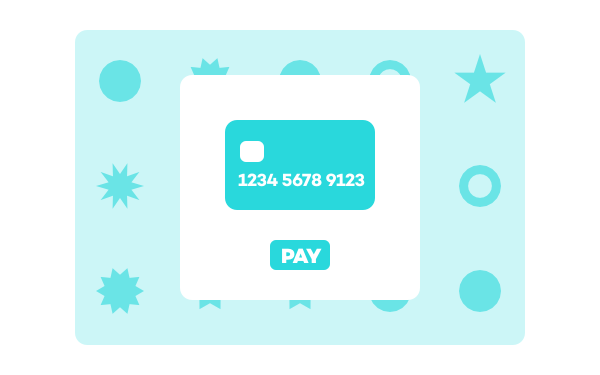 Your customers have 3 options – pay in 30 days, pay in 3 installments, or pay in smaller chunks. Whichever option your customers choose, you still get your cash straight away. Already works with platforms like Shopify, WooCommerce, Magento, and Salesforce. Prices: £0.20 transaction fee and a 1.90% – 2.90% variable fee. You’re not charged a fee if your customers pay upfront. Klarna take a transaction fee and a percentage of the total when your customers choose a payment plan. Taking card payments doesn’t have to be an expensive, complicated business. An iZettle card reader helps you take fast payments face-to-face and online. Sellers who move around a lot and need a payment system that works anywhere. The card machine’s really nifty. It powers up in 2 seconds, takes a contactless payment in 5, and charges in 8 hours. Connect the reader to your phone or tablet easily with bluetooth. Fees and upfront costs are low. Recent reviewers aren’t happy and have lost some trust in iZettle’s customer support. Some complain of having their account suspended with no warning. Prices: The card reader costs £29 (not including VAT). iZettle take 1.75% from every physical card payment, and 2.5% from every online payment. Used by loads of big online sellers (Amazon, Asos, Deliveroo), Stripe is secure and easy for your customers to use. Accept online and offline payments from anyone in any country. Sellers who want the all-singing, all-dancing payment solution. You can accept mobile payments, multiple currencies, and digital wallet payments too. It works with all the big ecommerce platforms – Shopify, Magento, WordPress, WooCommerce etc. Their pricing is based on European and non-European cards. No one has a clue what’s going to happen after Brexit, but it’s possible your Stripe fees could rise. Prices: European cards – 1.4% + a 20p fee. Non-European cards – 2.9% + a 20p fee. Accept online, face-to-face, and even phone payments in 25+ currencies. SagePay is one of the biggest online payment platforms in the world, and known for its speedy efficiency. Sellers who want the security of working with a big company instead of a new startup. Get your cash within 2 days (that’s faster than most platforms). Track everything in detail on the MySagePay dashboard. Fees are capped – you pay monthly instead of per transaction. Their pricing works better for businesses processing hundreds of payments every month. If you’re a smaller operation, per transaction fees could work out cheaper. Prices: £20.90 – £45 a month. The monthly fee gives you access to a specific number of transactions, as well as 24/7 support, and fraud fighting tools.